our virtual team of experts is for you! Our team allows you to focus on your genius abilities and revenue generating activities, while confidently delegating those creative, technical and administrative tasks that eat up your time and give you headaches. We have a full suite of services for any task you’re ready to delegate, and will create a customized package to suit your unique needs. We are not virtual assistants. We are experts collaborating as a virtual team. We recruit the best and conduct multiple interviews, reference checks and test projects to ensure our team really does what they say. You can rest assured that your team is comprised of top-notch professionals with years of proven expertise in their respective field. 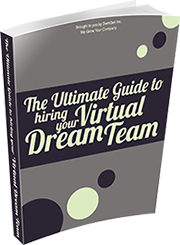 We take the guesswork out of hiring virtually. There’s a reason our clients stay with us for years! With a busy schedule travelling internationally speaking, writing and, of course, working with clients – the Duffys were understandably overwhelmed when they came to us. 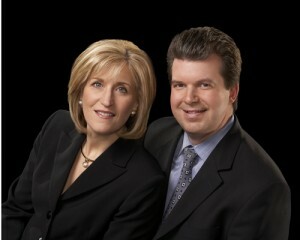 Their project manager Kim is now the ‘go-to-girl’ for the Duffys, their clients and even their family! “DemGen has proven itself to be an innovative organization of talented individuals who create value for us with both passion and integrity. Our experience at Big Futures is they are supportive teammates who enable us to better respond to both the opportunities and demands of our own clients. We feel partnering with DemGen this year is a significant milestone in enabling us to take even more responsibility and accountability with our own clients; while simplifying our game plan with great new capabilities. Going virtual with inside support has been a positive breakthrough; helping us to better navigate the challenging path of managing resources while being productive and focused. Our referral of DemGen to numerous clients and associates of our own in a relatively short time frame speaks directly to the high regard with which we view them. Find out today how we can create a targeted, customized services package to free up your time to do what you do best, and make more money!